Industrial Relations Training is for all School Representative Body Members in the Darwin and Palmertson and Rural region. 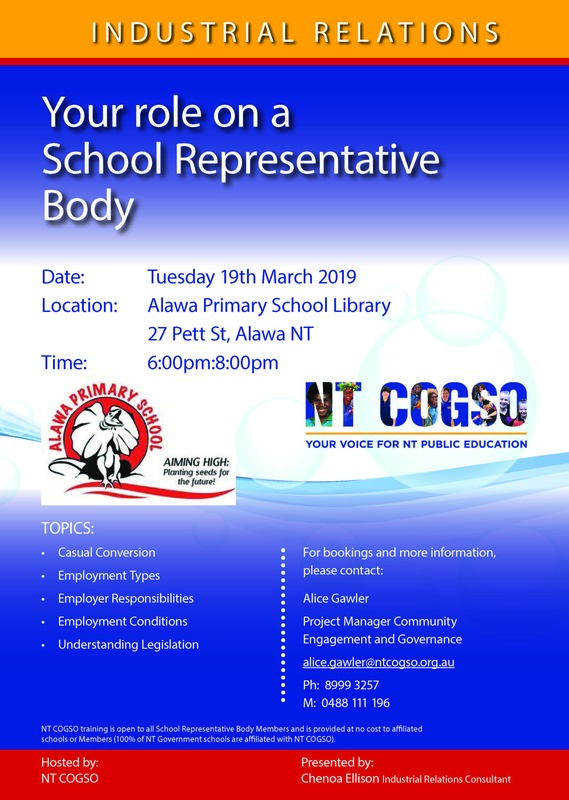 For more information please contact NT COGSO. Please note: Regional training sessions require a minimum of 6 participants.